Florida and its residents are no stranger to hurricanes. At least a few times a year, Floridians are told to board up their homes and evacuate to escape a large storm sweeping across the ocean. Though we and our neighbors in Lee, Collier, and Charlotte county are used to the power of massive storms, a few of our region’s hurricanes have stood out as exceptionally destructive. In September of 1919, the Key West region was struck by an unnamed hurricane. The storm battered the Key West-Havana docks and caused major damage to buildings across Key West and Corpus Christi. More than 800 people died because of the storm’s flooding and debris-filled 110 mile-per-hour winds. In addition to the land casualties, more than 500 people were lost in sunken ships at sea or ships that were reported lost at sea. Since becoming a popular vacation spot, Key West was humming with life during the summer of 1935. On Labor Day, however, all that changed when a deadly Category 5 hurricane swept onshore. The storm rocked the Florida Keys’ infrastructure, destroying the railroad and killing 408 people altogether. Those outside during the storm were battered by high winds, kicking up sand with so much force it stripped off their clothes. What little help was sent to evacuate the population was too little too late. Those who were evacuated by train were killed when the storm winds pushed the train off its track. Even world-famous author Ernest Hemingway was devastated by the damage. Described as “the most destructive hurricane to ever strike the United States” by the U.S. Weather Bureau, “The Big Blow” Miami hurricane hit the economically devastated shores of Miami on September 18, 1926. Toting winds as strong as 150 miles per hour, the hurricane added insult to injury after the complete collapse of Florida’s economy the year before. In the end, the death toll hung from 325 to 650 people with 800 missing. Many of the residents of Miami had only just moved there with hopes of hitting it big in Florida, and had no idea what sort of power a hurricane could unleash on their new home. On September 16, 1928, the Okeechobee hurricane burst ashore at Palm Beach. While the coastal residents had been preparing for days, the Lake Okeechobee residents further inland had no idea what they were in for. The storm inflicted significant suffering on Puerto Rico’s population, resulting in more than 1,000 deaths before it even reached mainland shores. Due to the heavy rain and poorly constructed dikes, the Lake Okeechobee community flooded, killing another 2,000 people by the time the storm left the area. It had been more than 25 years after Florida’s last major hurricane when Andrew hit South Florida. 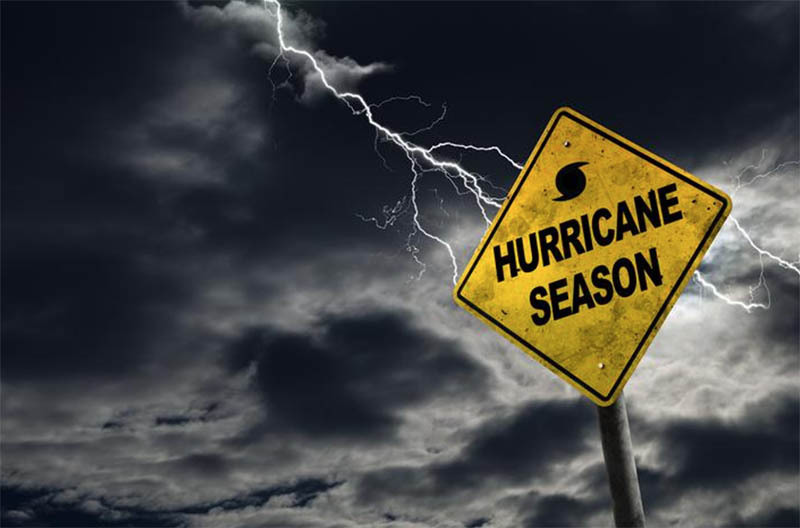 When all was said and done, Hurricane Andrew became the fourth most destructive hurricane to hit the United States as of 1992. Andrew caused major damage to areas such as the Bahamas and Louisiana, but left the biggest impression on South Florida. This Category 5 hurricane, reaching wind speeds up to 165 mph, took 65 lives and destroyed over 100,000 homes, leaving the area with over $26 billion in damages. Once everything was removed from the affected areas it is said that the amount of debris was enough to fill 3,884 swimming pools! Due to its severity, the name Andrew was retired from the Atlantic hurricane list of names. With today’s weather technology, we rarely need to worry about hurricanes suddenly roaring ashore unexpectedly. However, these storms should never be underestimated. Prepare your home with various options from Harper’s Hurricane Protection & Screen Enclosures. To learn more about our selection of hurricane shutters visit us at www.harpers1980.com or call 941-629-3490.